Built in the late 1980's, Sea Dunes is a condominium community of 24 1st, 2nd, and 3rd floor, elevator serviced, two bedroom apartments ranging in size from approximately 1385 to 1887 square feet. 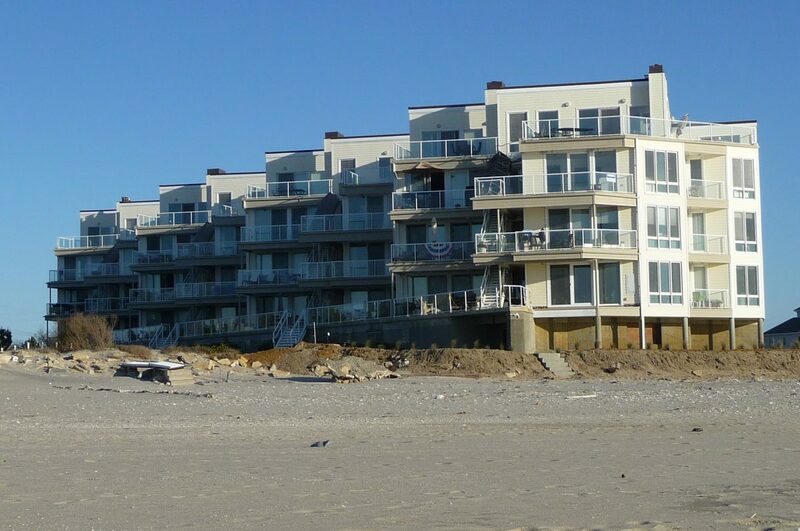 Located in the North End of Long Branch, right by the Monmouth Beach border, Sea Dunes is unique in that it sits right on the beach with no seawall, boardwalk or road between the complex and the water. Each apartment has a view of the ocean and assigned parking in the ground floor parking garage.